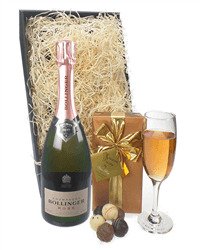 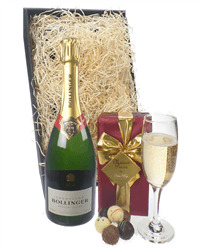 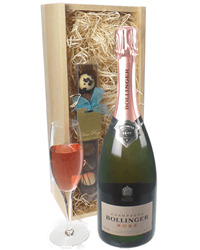 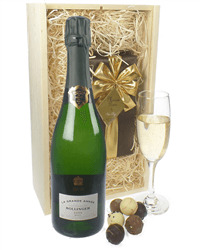 Champagne and chocolates make for an excellent gift choice for any occasion and we have a great selection of Bollinger Champagne and chocolate gift sets. 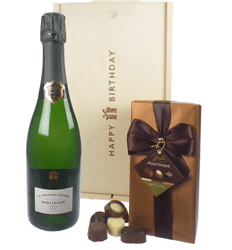 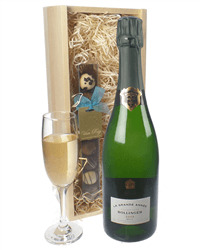 Choose from a Brut, Rose or Vintage champagne to go with either Belgian chocolates or truffles. 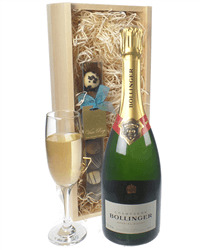 All come presented in a wooden gift box and will be delivered on a date you choose.